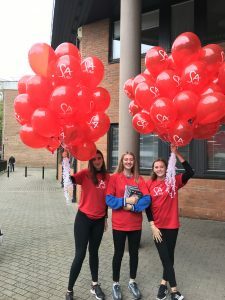 On Sunday 1st October 2017, the AIOM team helped spread joy and red balloons throughout the St Albans Street Food Festival. The festival is one of the most exciting events on the local calendar. The main high street becomes a tantalizing culinary experience with pop-up bars restaurants and vendors. It is the biggest and best opportunity to try lots of different cuisines and sample all sorts of local beverages. Our aim was to spread brand awareness for one of our local clients, SA Law, by handing out branded red balloons and SA Law’s very own, mouth watering recipe book. The street was filled with a sea of red SA Law balloons (‘99 Luftballons’ ­I hear you sing!). We managed to distribute more than 500 over the course of the day. 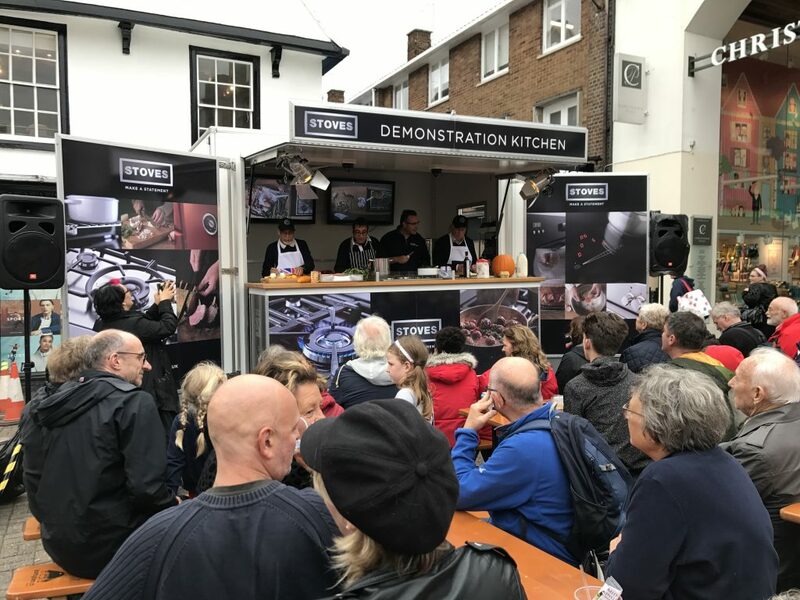 The team were especially excited to bump into the Mayor, Cllr Mohammad Iqbal Zia and as promised, we popped down to the Cooking Theatre to support him in his cooking debut.